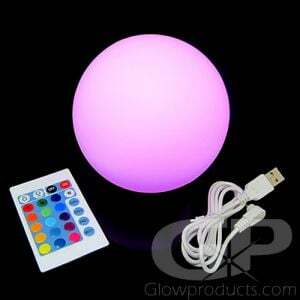 - Star LED Mood Lamp with Remote Control! 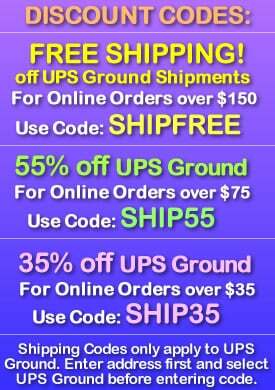 - The Ultimate LED Star Decor Light! 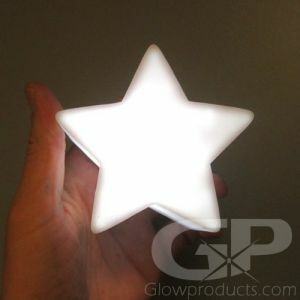 Make your party decorations out of this world with the big Light Up Star LED Mood Lamp glow in the dark party supplies from Glowproducts.com! These epic lamps measure 7 3/4 inches across from star point to star point and are 2 1/4 inches thick. 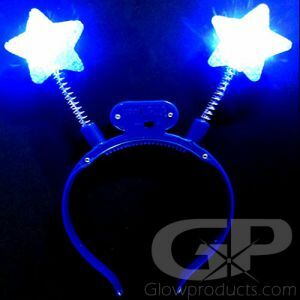 Which means these LED Star lamps mean business! 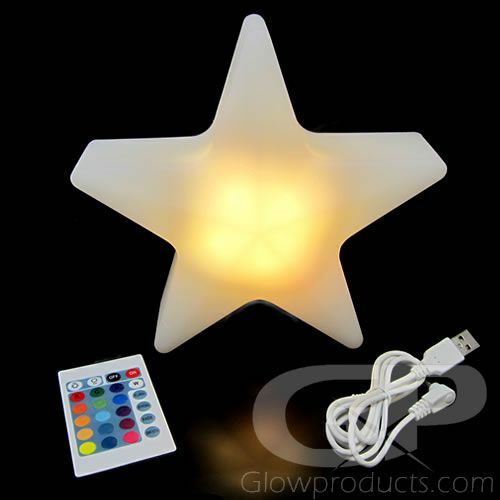 The giant glow in the dark star decor lamps come complete with Remote Control and USB charging cable for the rechargeable batteries and even a loop on the back for hanging the stars up for a cool glowing star lantern effect. 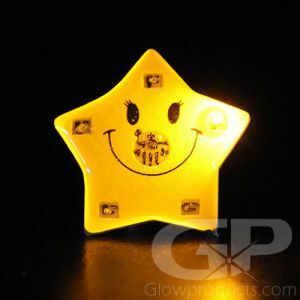 Or stand them up on their points or lay them flat and instantly create amazing glow in the dark star center pieces and glowing table top displays! 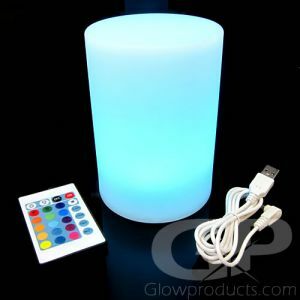 Using the remote control, the Large LED Star Lamps have 16 different color settings to choose from and 4 different color changing modes, as well as the ability to make the lights brighter or dimmer - depending on your mood, your party's atmosphere and theme! 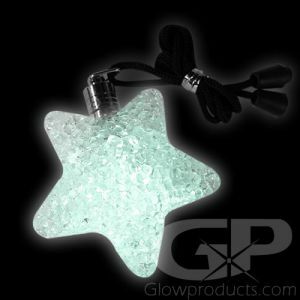 It's time for glow party decorating made easy with Glowproducts.com! 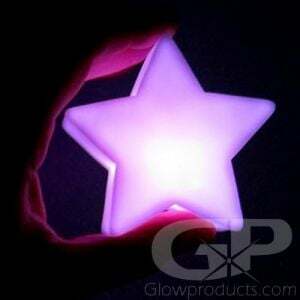 Instructions: Lift up the back battery port cover and plug in the USB charging cable to charge up your glowing star decor LED lamp. 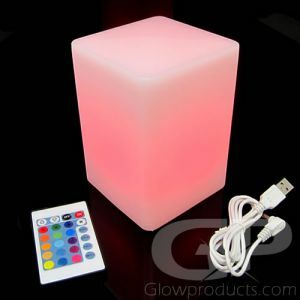 An off/on switch is located on the back of the lamp as well that you can use to cycle through the lamp's different settings instead of using the remote control. Press and hold this button for 5 seconds to turn the LED lamp completely off.